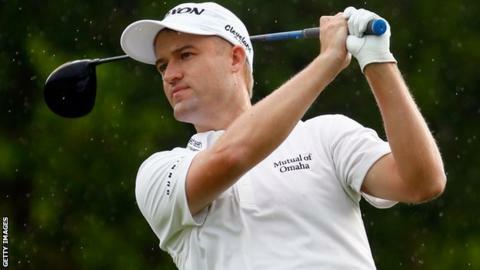 Scotland's Russell Knox has decided to join the European Tour with a view to qualifying for the 2016 Ryder Cup. US-based Knox, 30, has seen his ranking rise to 29 after winning the WGC-HSBC Champions tournament in Shanghai. He also just missed out on another victory at the OHL Classic in Mexico. "I am excited about taking up European Tour membership in 2016," said Knox. "I look forward to trying to make Darren Clarke's team for the Ryder Cup at Hazeltine." This decision by Knox, originally from Inverness, was confirmed to BBC Scotland by his agent John Wiler, who added that Knox's breakthrough had just been "a matter of time". The 2016 European Tour season begins on 26 November with the Alfred Dunhill Championship in South Africa, but Knox is not expected to make his first appearance until the Nedbank Golf Challenge event - also in South Africa - on 3 December. European Tour chief executive Keith Pelley recently announced changes to membership regulations, with players now only required to compete in a minimum of five European Tour sanctioned tournaments outside the Major Championships and World Golf Championships. Europe won the 40th Ryder Cup in 2014 at Gleneagles and there will be nine automatic spots available in captain Clarke's 12-man team for the duel against USA on 30 September to 2 October 2016. But Knox's WGC triumph in Shanghai cannot help him in the points race to secure one of those places, as he was not a European Tour member at the time of that victory.